The care team can provide a full time care partner, two care partners working 12-hour shifts or two caregivers four days on and four days off. We work closely with our clients and family to develop the perfect 24/7 schedule designed to address your evolving care needs. 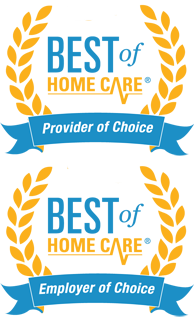 Homewatch CareGivers offers a variety in-home health care services including 24 Hour Home Care, Live-In Caregivers and around-the-clock senior care throughout Chicago and the North Shore suburbs including both Cook County and Lake County. We provide our home care, senior care and dementia care services to residents of Arlington Heights, Buffalo Grove, Chicago, Deerfield, Des Plaines, Evanston, Glencoe, Glenview, Highland Park, Fort Sheridan, Highwood, Kenilworth, Lake Forest, Morton Grove, Niles, Northbrook, Park Ridge, Lincolnshire, Lincolnwood, Libertyville, Skokie, Wilmette and Winnetka.